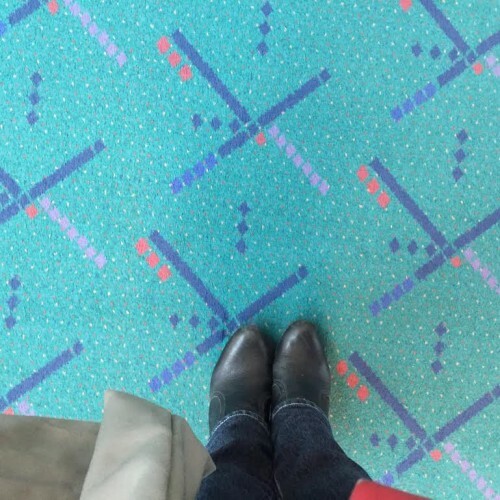 Remember the ‘celebrity’ carpet at Portland International Airport? Portlanders loved the PDX carpet. But it was old and worn and had to be replaced. Now a large scale artwork celebrating that carpet is up for auction. People loved taking pictures of their feet on that carpet. The pattern showed up on caps, cups, neck pillows, jam, beer and all sorts of other items. And, in 2015, not long after the Port of Portland announced it would be replacing all the carpeting in the airport, the carpet (yes the carpet) was named the Grand Marshal of Portland’s Rose Parade. 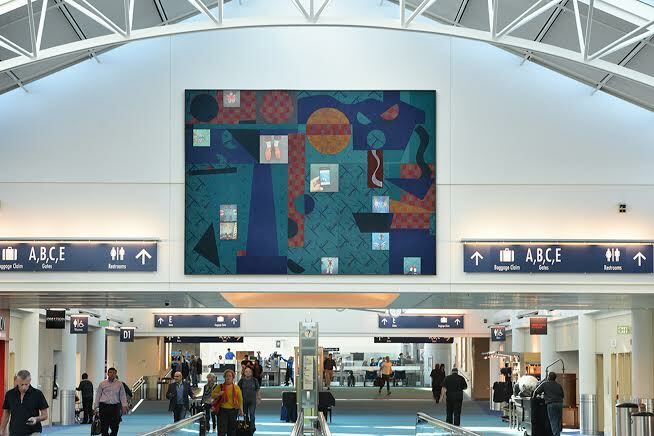 Now the large-scale carpet-centric artwork titled “Carpet Diem” by local artist Nancy Wilkins that was commissioned by the airport and which has hung on Concourse ‘D’ at PDX since 2014 is being replaced as well. The artwork is being surplused and is now up for auction. Last we looked the highest bid was only $110! Take a look and see if you’d like to own this homage to a quirky carpet, and if you’ve got room for it in your home, office, bowling alley or airplane hangar.